Chief minister Vijay Rupani has said that "concrete steps will be taken after looking at it from legal and all other angles." 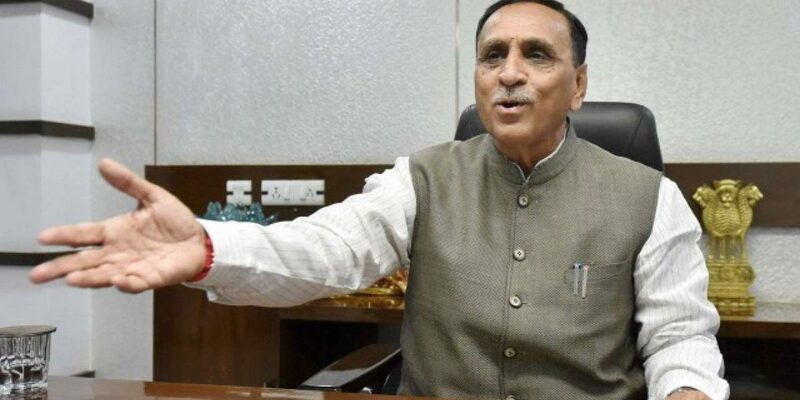 New Delhi: The Gujarat government is going to consider the legal aspects that are needed for renaming Ahmedabad as Karnavati, the state chief minister Vijay Rupani said on Thursday. Two days prior to this, on November 6, just hours after the Uttar Pradesh chief minister Adityanath announced the renaming of Faizabad district as Ayodhya, Gujarat’s deputy chief minister Nitin Patel had made known that the state was interested in rechristening Ahmedabad as Karnavati – if there were no legal hurdles. According to Indian Express, congratulating the UP government for the name change, Patel had said that the Bharatiya Janata Party government was willing to change Ahmedabad’s name if it gets past the legal hurdles and receives required support. “People are still having a feeling that Ahmedabad should be renamed as Karnavati. If we get required support to overcome the legal hurdles, we are always ready to change the name of the city,” Patel told reporters when asked if the state government had a plan to rename India’s only city having the ‘World Heritage’ tag. “We can think of changing the name at an appropriate time,” Patel added. Slamming the BJP government over the plan, state unit Congress spokesperson Manish Doshi said the promise to rename Ahmedabad was just another “poll gimmick” by the ruling party. “For the BJP, issues like construction of Ram temple in Ayodhya and renaming Ahmedabad as Karnavati are the means to get votes of Hindus,” said Doshi, adding: “BJP leaders dump such issues after coming to power. They only cheated Hindus all these years,” he added. On the eve of Diwali, Adityanath had announced that Faizabad district would henceforth be known as Ayodhya, which is a “symbol of our ‘aan, baan aur shaan‘ (honour, pride and prestige)”. The state’s rechristening of Faizabad district came just weeks after renaming of Allahabad as Prayagraj. Meanwhile, the Shiv Sena on Thursday came up with its own demand. The party mounted pressure on Maharashtra chief minister Devendra Fadnavis to rename Aurangabad as Sambhaji Nagar and Osmanabad as Sharashiv Nagar. “Yogi Adityanath has renamed Allahabad and Faizabad to Pragyaraj and Ayodhya. When will CM Devendra Fadnavis rename Aurangabad to Sambhaji Nagar and Osmanabad to Dharashiv Nagar?” Shiv Sena MP Sanjay Raut tweeted. PTI has also reported that the BJP government in Himachal Pradesh is mulling a proposal to rechristen the hill station as ‘Shyamala’. Its popularly believed that Himachal Pradesh gets its name from Shyamala Devi, an avatar of goddess Kali. The name was changed to Shimla during British rule.